Pixar's Brave is coming to Theatres on June 22, so to get ready, Tweetwatches for the next month are the Pixar films that Mark Andrews, director of Brave, was involved in before. Tonight, it's time for Ratatouille, the Brad Bird directed film that Andrews served on as story supervisor. 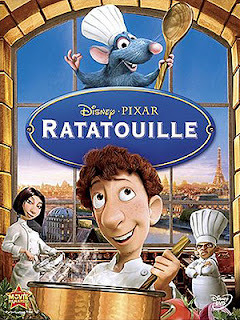 Join Remy as he begins his culinary journey, and we will chat about the movie as it goes along.